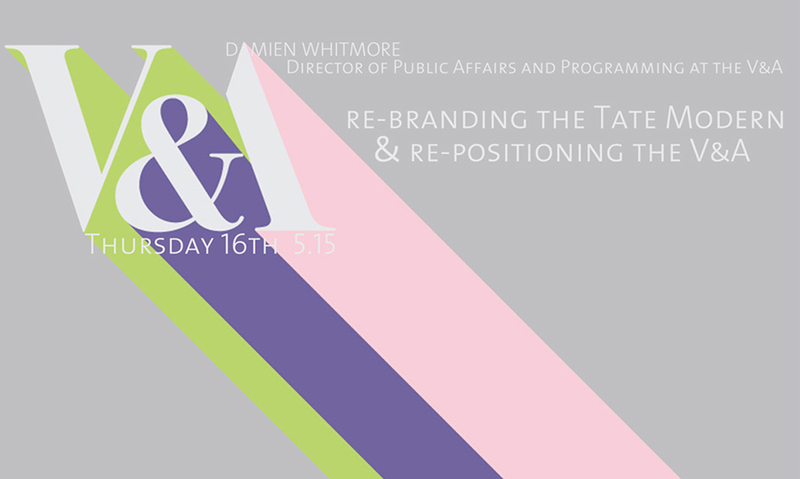 Damien Whitmore was born in Birmingham and educated at Lancaster University and Wadham College, Oxford. He has worked in the arts and media for over 2o years. From 1990 to 1992 he was Head of Development at the Design Museum before becoming Communications Director at the Tate Gallery in 1992. At the Tate he was responsible for public relations, marketing, visitor services, lobbying and membership. He set up Tate magazine in 1994. In 2000, he oversaw and directed the complete re-branding of Tate and in May that year, directed the hugely successful launch of Tate Modern which in its first year attracted over 6 million visitors. He is now Director of Public Affairs and Programming at the V&A where he is responsible for overseeing the museum’s exhibitions and contemporary programmes, creative Industries, the V&A brand, visitor services, digital and on-line, marketing and communications. Since joining the V&A in 2002, he has totally repositioned and re-branded the organisation, set up the widely acclaimed V&A Magazine and nearly tripled attendance figures to 3 million a year. In 2010, he launched the V&A Channel, the V&A’s new digital production and broadcast channel. The V&A is now widely recognised as the world’s leading museum of art and design, and is now a truly global museum brand . Through its exhibitions, tours, websites, licensing and international partnerships, the V&A now reaches over 30 million people world-wide each year. He advises a wide-range of organisations around the world on programming, branding and organisational strategy including Istanbul Modern, the Metropolitan Museum in New York, the Russia Museum in St Petersburg, the Johannesburg Art Gallery and the new Holon Design Museum in Tel Aviv. He has also advised the Mayor of Paris on the branding and positioning of the city’s museums. In September 2008, he was awarded the Chevalier des Arts et des Lettres by the French Government.